After a quiet spring things are moving again on Farthing. 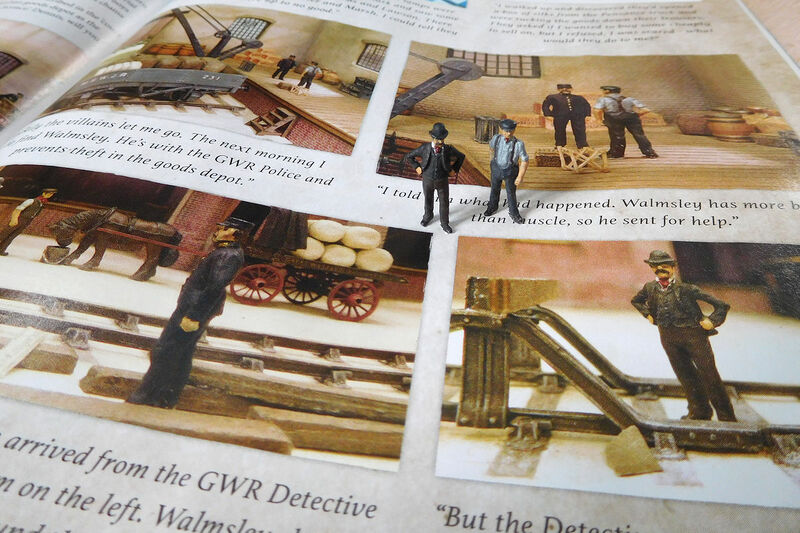 The Slipper Boy story is featured in the June 2016 BRM, which seems a good way to mark the end of work on that layout. Many thanks to BRM for featuring the story. It’s all just a bit of fun of course, but while studying the court case that inspired the story, it did occur to me just how much scope there is for modelling particular historical incidents on the railways. First, I adjusted the design to balance the layout better and “open up” the views. This involved widening the baseboard and moving the fiddle yard off the main baseboard. The trackplan remains mostly the same though, following the original inspiration from the backwaters of Gloucester Old Yard. This includes the very short headshunt and the two sidings with loading facilities that were hired out to private companies. I’ve played around with the latter and added a bit of, ahem, local lore - more on that in another post. Secondly, I scrapped the idea of using gravity shunting. Despite some success with initial experiments, it was becoming a major project in itself and was bogging down progress. I appreciate all the ideas offered though, maybe another time. There is still shunting to be had, thanks to the short headshunt and the exchange of wagons between two locos, as was also done at Gloucester. Thirdly, I cut a corner and decided to have the two points built professionally. This hurt my pride a bit, but I wanted to move on and so John Jones (aka “Hayfield") of this parish built me a couple of nice 00-SF (aka 4-SF) points at a very reasonable price. …and stuck onto templates of GWR 44 ft track lengths. I tried to copy the GWR’s sleeper spacing at the rail joins. According to Stephen Williams, the GWR employed two different ways of laying sleepers at the end of points, the “interlaced” pattern being more common. So I did that. For point operation I’ve used Cobalt IP Analogs. Definitely over the top for a glorified shunting plank, but I wanted to see what slow action motors are like. They work well enough, although I find them a bit noisy – no doubt amplified by the foamboard. The next step is to add a few final details to the track, clean up the sleepers and paint the rails, and then I'll finally be able to start work on the buildings and structures, something I look forward to. Finally here's a short video clip proving that the beast is alive – warts and all. I still need to tweak things a bit, but I’m quite happy with the way my wagons (built to very simple standards) and the RTR chassis move through John's 00-SF points. Good to see you posting again Mikkel. I've missed your blog updates! Great to see movement at Farthing! Even at this early stage, there is 'atmosphere' in your photos and the trackwork looks superb. The grain in the sleepers is impressive - exactly what material have you used? Nice progress Mikkel - and congratulations on the 'BRM' entry. Your fame is spreading wider and well-deserved! About time too ! What you been playing at keeping us all waiting ? All joking apart, it's good to see you back with some fresh ideas. I think you've done the right thing to be honest, in ditching the gravity shunting, it would probably have held your proposals back. Now you seem to have got that "mojo" back ( I think we've all been there at some point ) this looks likely to be another of your excellent projects. I don't think there's a loss of pride regarding the turnouts either, that's what we're all here for ( I hope so anyway ) to help each other in some small way. Do it at your leisure and enjoy what you're doing and I'm sure once it is completed it'll be another small masterpiece. Morning Mikkel. This is very nice. Looking forward to seeing this develop as it is very much my cup of morning tea. Well done on the article - richly deserved! I look forward to further updates on the sidings too. Hi Dave, so do I... I've got most of the material I need for that "biscuit shed", so hope to get started on that this week. Hi Mike, the sleepers are plywood strips from C+L. You can them pre-cut but I cut them myself as I use a 31.5 mm length which I find gives a good proprotional appearance of 9' timbers with 16.5 mm gauge (thanks Nick, if you're still around). Thanks Ian, our blogs here tend to live their own quiet life, so it was nice (and strange!) to see Farthing in a mag. I really appreciate that BRM took it on, I'm sure there are those who don't see it as "proper" model railways. Thanks very much for encouragement Grahame, really appreciated! I realized that what I really wanted with this layout was to make a lot of buildings and goods stock, so that's what I'm focussing on now. "Turnouts" you say - just when I had decided to stick with "points". is there not some compromise. "Turn-points?". "Point-outs"? Thanks Nick! I'm enjoying your experiments with the Darkly Labs laser. 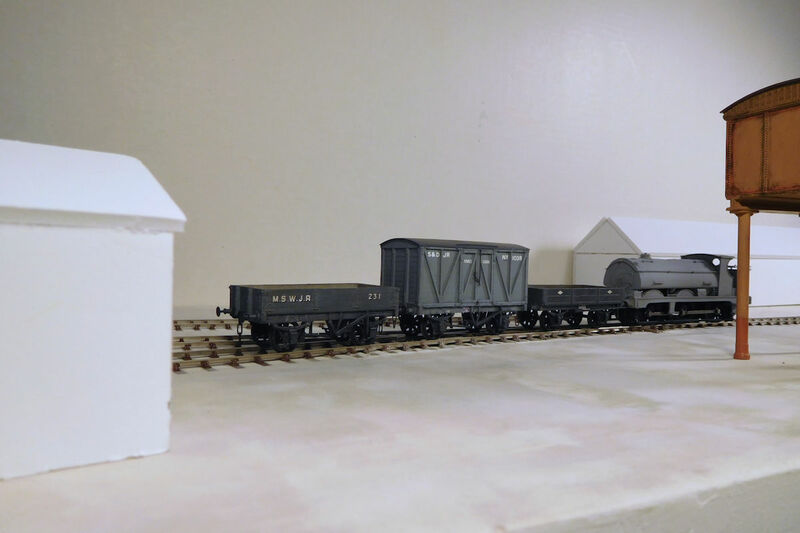 Those wagons and vans you are doing are brilliant, when will you be doing them in 4mm? Hi Dave, I think I'll start off with a couple of straightforward ones to get into the flow. The most time consuming one will probably be the stable block, to be based on Uxbridge. I recently bought "Great Western horsepower" by Janet Russell which really fired the imagination. Thanks Les, I've been taken notes on those windows for your station building, as I may need to scratchbuild some for my buildings. Morning Mikkel. This is very nice. Looking forward to seeing this develop as it is very much my cup of morning tea. Rob. Hi Rob. OK, if you let me know what time you have your morning tea I'll make sure to time the next update with that . 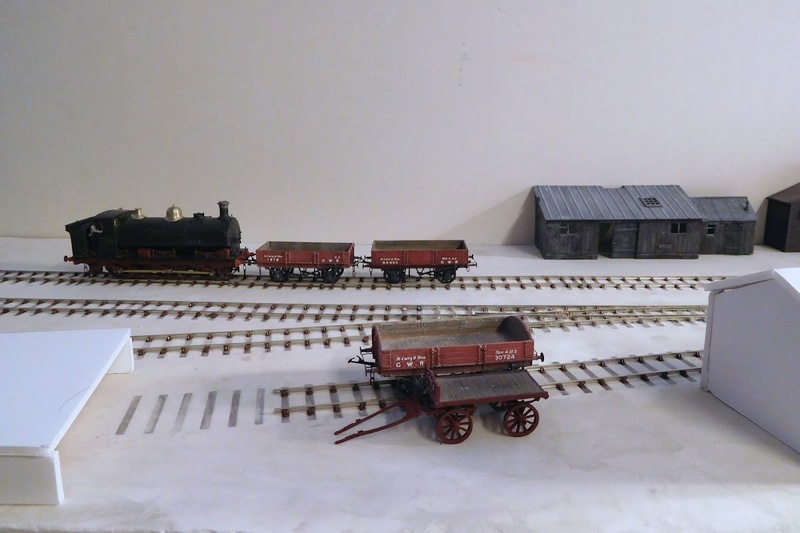 I'm hoping to get some low-down views of vans and wagons sitting in the sidings on this layout, similar to those very atmospheric shots you are posting! Hi Castle, thanks very much. I'm off to see what you've been up to on your thread. 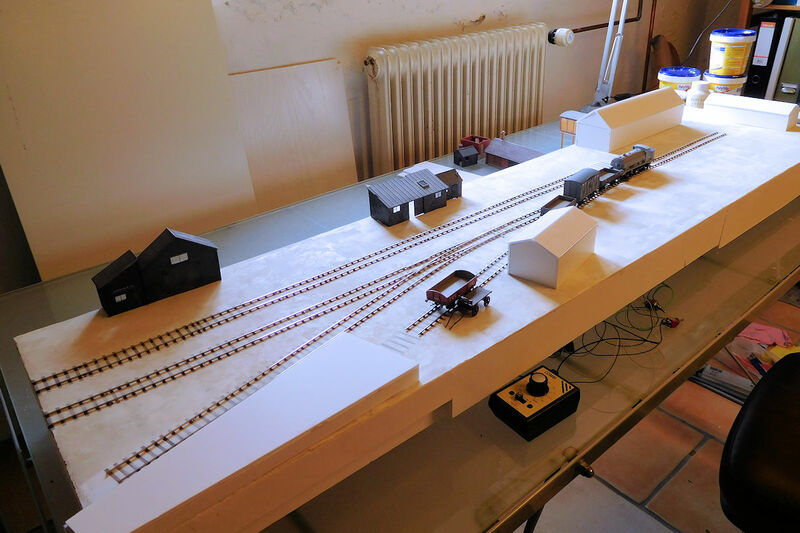 It is good to see some progress on your layout. I like the changed layout plan. Looking forward to your background buildings. As far as I know this shunting layout will also give you the possibility to use goods wagons from different companies. I'm glad you like the plan. I like view blocks at the front, but they have to be carefully positioned. Before, the biscuit shed was more towards the center and it "closed off" the left part of the layout from viewing. The background buildings will need some thinking. There is a risk that they become too much of a "flat" line-up. I think you have enough space to make it look interesting. think about different in height, different roofs or roof textures, different type of windows etc. 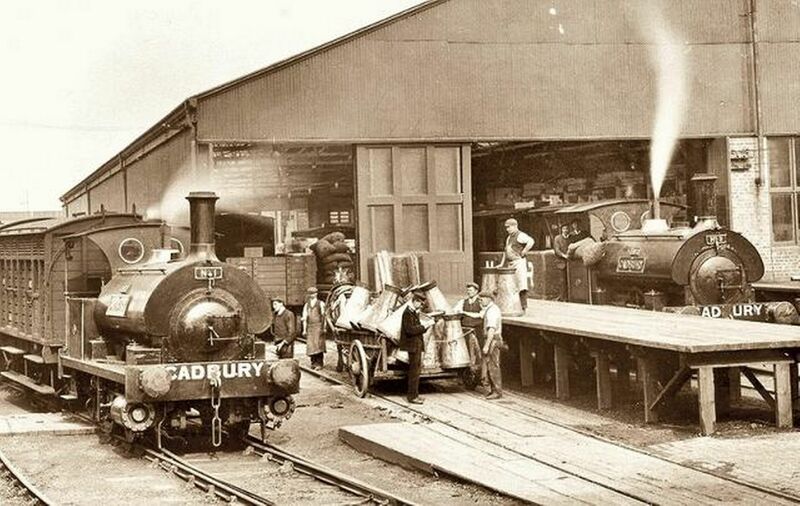 There are also some nice pictures to find of the Swindon Works. Love the photographs. Those planks look about 3" so sleeper strip would be ideal! Hi Job, thanks for that, although something has happened to the link (I think it's in a frame). Did you mean this one: http://www.fosrm.org.uk/List_files/image002.jpg? I would like to fit the buildings at the back into my overall plan of the station, which means they would be positioned in an area between sidings. So ideally they would be fairly small buildings used by the railway itself. There was a nice row of stores and offices at Gloucester for example, and another at Salisbury. Yes, I was thinking about that. I've got the thin C+L ones though, may need to order some of the deeper ones. The plan is to feature a variety of timber structures to help achieve a slightly rustic and period look. I did not see the BRM article as my local Sainsbury's does not stock it, not sure why. If I had seen it, it would have been the first mag I had bought in a while. It is of course proper railway modelling, and it adds a depth to the actual models. Glad to see you are back building again. It looks good and there is a certain artistry about what you do which I have no idea about. I look forward to seeing what you do. I am very impressed with the neat workmanship. It is looking very good. I thought for a minute you had borrowed a fireless loco from H&P however their's were smaller. I haven't seen BRM but pleased you have an article in it. I presume much of it has already appeared here. Looking forward to how it progresses. Nice to see you doing more. Hi Don, thanks, the BRM article have some of the shots done again as the originals were a little dark. The loco is just my 1854ST without the boiler fittings. I really must get on with painting it! I've found the right paint after much testing. Very impressed with the workmanship, especially the ballasting of the turnouts points, lately I have grown fonder of the Exactoscale plastic timbers, especially when used in conjunction with plastic plain track. But I must say your hand built plain track on ply looks far superior to RTL plastic. In my recent house move I decided to dispose of the 2 layouts (small) I was building, one was just a stop gap till I moved, the other intended for use at the club. As my modelling room is many months off I had thought of building a diorama which could be turned into a small layout later, I have a plan based on Bodmin General and if modelled in a preservation era I could run both GWR and SR locos together. Looking at your layout has stirred up my thoughts on this project. It has also confirmed ply timbering is the route I should take, as I am going to hand build the plain track and have plenty of GWR chairs (both Exactoscale and C&L). The section around the engine shed is the diorama, but I will be swapping the turnout into the shed (which has 2 catch points within it) for a double slip. This I hope will keep the complicated piece of trackwork but add hopefully to the operational interest and add an extra loco storage road. I have decided to build it to 4SF + 2 mm gauge. I too was wondering! What great work, Mikkel, always inspirational. I am on a temporary break but your post has me itching to get back to France and carry on.